Definition at line 16 of file connect.c. Definition at line 33 of file connect.c. Definition at line 28 of file connect.c. Referenced by BaseCheckForVDM(), BaseCheckVDM(), BasepNotifyCsrOfThread(), BaseUpdateVDMEntry(), CloseConsoleHandle(), ConsoleMenuControl(), CreateConsoleScreenBuffer(), CreateProcessInternalW(), CsrClientConnectToServer(), CsrIdentifyAlertableThread(), CsrSetPriorityClass(), DefineDosDeviceW(), DuplicateConsoleHandle(), EndTask(), ExitProcess(), ExitVDM(), ExitWindowsWorker(), FlushConsoleInputBuffer(), FreeConsole(), GenerateConsoleCtrlEvent(), GetConsoleCP(), GetConsoleCursorInfo(), GetConsoleDisplayMode(), GetConsoleFontInfo(), GetConsoleFontSize(), GetConsoleHandleInformation(), GetConsoleHardwareState(), GetConsoleMode(), GetConsoleOutputCP(), GetConsoleProcessList(), GetConsoleScreenBufferInfo(), GetConsoleSelectionInfo(), GetConsoleWindow(), GetCurrentConsoleFont(), GetLargestConsoleWindowSize(), GetNextVDMCommand(), GetNumberOfConsoleFonts(), GetNumberOfConsoleInputEvents(), GetNumberOfConsoleMouseButtons(), GetProcessShutdownParameters(), GetTempFileNameW(), GetThreadDesktop(), GetVDMCurrentDirectories(), IntAddConsoleAlias(), IntAllocConsole(), IntAttachConsole(), IntExpungeConsoleCommandHistory(), IntFillConsoleOutputCode(), IntGetConsoleAlias(), IntGetConsoleAliases(), IntGetConsoleAliasesLength(), IntGetConsoleAliasExes(), IntGetConsoleAliasExesLength(), IntGetConsoleCommandHistory(), IntGetConsoleCommandHistoryLength(), IntGetConsoleInput(), IntGetConsoleKeyboardLayoutName(), IntGetConsoleTitle(), IntReadConsole(), IntReadConsoleOutput(), IntReadConsoleOutputCode(), IntScrollConsoleScreenBuffer(), IntSetConsoleNumberOfCommands(), IntSetConsoleTitle(), IntWriteConsole(), IntWriteConsoleInput(), IntWriteConsoleOutput(), IntWriteConsoleOutputCode(), InvalidateConsoleDIBits(), Logon(), NotifySoundSentry(), OpenConsoleW(), RegisterConsoleVDM(), RegisterLogonProcess(), RegisterServicesProcess(), SetConsoleActiveScreenBuffer(), SetConsoleCommandHistoryMode(), SetConsoleCP(), SetConsoleCursor(), SetConsoleCursorInfo(), SetConsoleCursorPosition(), SetConsoleDisplayMode(), SetConsoleFont(), SetConsoleHandleInformation(), SetConsoleHardwareState(), SetConsoleIcon(), SetConsoleMenuClose(), SetConsoleMode(), SetConsoleOutputCP(), SetConsolePalette(), SetConsoleScreenBufferSize(), SetConsoleTextAttribute(), SetConsoleWindowInfo(), SetLastConsoleEventActive(), SetProcessShutdownParameters(), SetVDMCurrentDirectories(), ShowConsoleCursor(), and VerifyConsoleIoHandle(). Definition at line 192 of file connect.c. Referenced by ConnectConsole(), and DllMain(). Definition at line 489 of file connect.c. Definition at line 39 of file connect.c. Referenced by CsrClientCallServer(), CsrClientConnectToServer(), and CsrpConnectToServer(). Definition at line 24 of file connect.c. 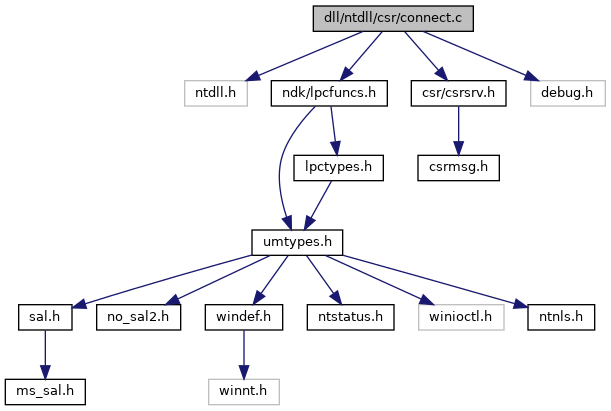 Referenced by CsrClientCallServer(), and CsrpConnectToServer(). Definition at line 22 of file connect.c. Referenced by CsrGetProcessId(), and CsrpConnectToServer(). Definition at line 31 of file connect.c. Referenced by CsrClientCallServer(), and CsrClientConnectToServer(). Definition at line 25 of file connect.c.